Jordan Amusement is now your Lubbock/Midland/Odessa Brunswick authorized dealer! Brunswicks latest entry into the table tennis game is as powerful as its name suggests. Smash 7.0 features a classic black play surface, matching net and net clips, with a sturdy 25mm-thick playing field for optimized performance. A strong undercarriage ensures exceptional strength and stability, while the easy fold-up system makes moving and storage quick and convenient. 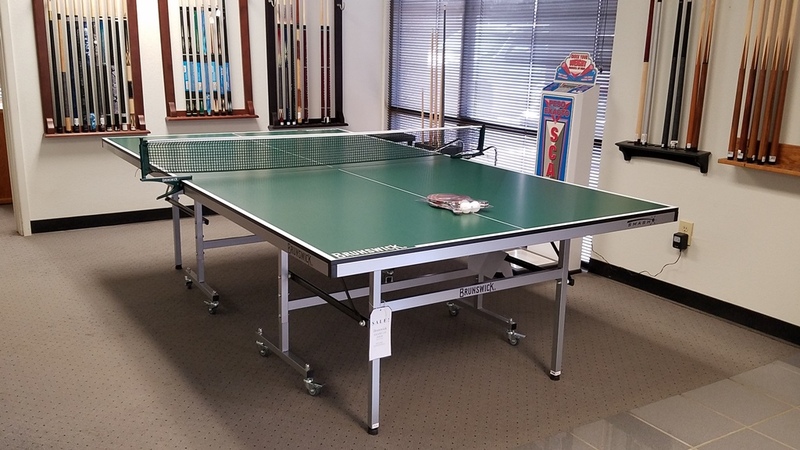 Smash 7.0 provides built in compartments for convenient storage of the included two paddle / 3-ball accessory set. Give us a call or stop by our showroom for low pricing!